Artists aren’t all miserable, solipsistic douchebags pottering about in their studios or spraying paint on to unsuspecting walls. 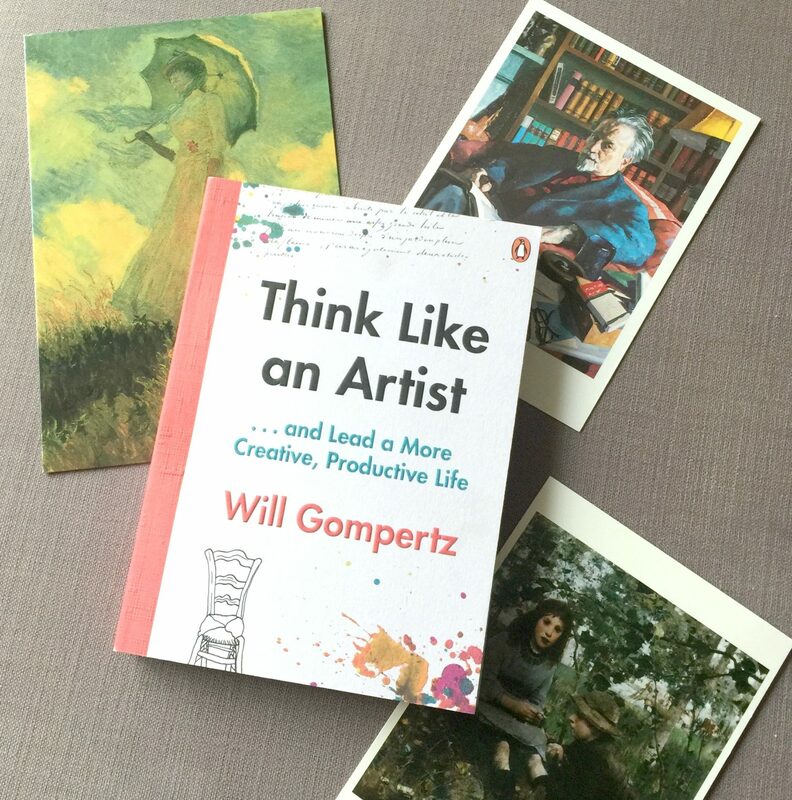 According to Will Gompertz, they know how to get things done on a scale of next-levelness that you, non-artist, can only dream about. Why not think like an artist for a more creative and productive life, he suggests, and here’s how his advice can work specifically for blogging. 1.) Artists have actual passion. They don’t paint things (or make things – whatever kind of media they work with), just to have something ‘out there’ by a certain date. All too often bloggers feel a pressure to pander to Google’s algorithms and play the DA score game, sacrificing quality for quantity. There are many bloggers who post every day, and whilst some are so fantastic at what they do they make every post pure gold, I think we can agree that many super-regular posters are putting out an awful lot of filler that’s barely worth clicking on. If you are genuinely passionate about something that will always come across, think like an artist and only hit publish if you have something to say, and you’re excited to say it. 2.) Artists don’t waste their time on things that don’t inspire them. Well… there must be some who have sacrificed their principles to work on an advertising campaign or something, artists gotta eat and pay the bills too, but it’s useful advice in broader terms. If we just blog for the freebies or the payment, then it’s all meaningless. Blogging becomes a job, an exchange for something of material value. 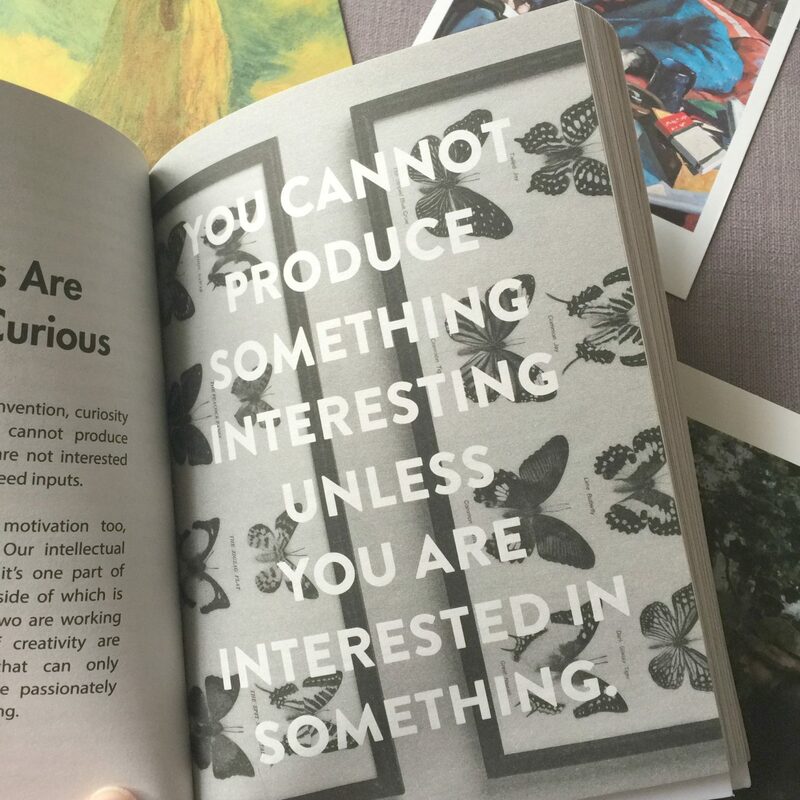 It’s true that you can only create something interesting if you’re interested in it. If you happen to be good at faking enthusiasm, and are prepared to do this, it’s not going to nourish your soul in the long run, and it means you’ll never be searching for the next thing to blog about – doing the asking and researching and soul-searching required of good blogging – you’ll just be going through the motions, and no true artist would ever do that. 3.) Artists don’t just madly throw paint onto a canvas and then move on to the next piece of work. They reflect, strategise, deliberate, ask questions. If you’re thinking about human experience (as an artist or writer) then you can’t expect to get better at it without properly reflecting on your work, understanding what it means to you and to others, and planning how to be better, not bitter, when it’s not well-received. 4.) “I begin with an idea, then it becomes something else” – Picasso. Artists don’t sit about waiting for inspiration to strike. They disrupt and challenge things, they hold a mirror up to society, they engage us with colour and imagery, they tell stories. Nothing they do would happen if they didn’t first put in the ground work, which is why artists talk about being inspired by news and travel and books and people and emotions, they take all this into the research and planning stage, their finished pieces have purpose. 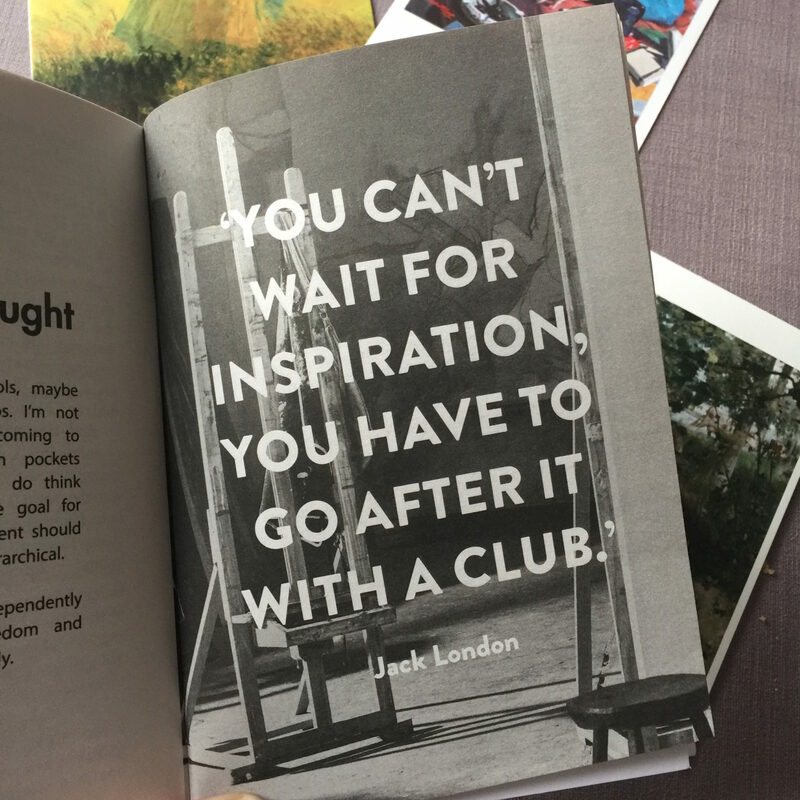 This is not to say you need to go out on adventures and create mood-boards and spidergrams for every blog post, just that you need to do something to be inspired to write. However you find inspiration and do the groundwork is your process and yours alone, but if you’re wailing on Twitter about how you can’t think about what to blog about, remember that no artist would do that – they get busy and find inspiration in the most unlikely and incredibly likely of places. 5.) “A work of art is the unique result of a unique temperament” said Oscar Wilde, therefore can we deduce that the same old makeup reviews and millennial-crisis style posts using the same language are not works of art because they’re not very unique? Hey, I hold my own hands up to this, I use words like buttery to describe eyeshadows that I got from the blogosphere – I never used to equate makeup to dairy products. What Gompertz is getting at, is that part of artists’ productivity comes from being unique, having a perspective, a ‘voice’ that’s only theirs. This becomes harder to do over time (even artists admit this) because it seems like all the good ideas have been taken. Let’s remember what Dr Seuss said – “there’s no-one youer than you”, there’s literally no one else with your exact mind and innate creativity. Although it feels like there’s nothing left to do in the lifestyle blog world, you can still put yourself in to familiar types of content and make it unique. You also need to know that finding your own style takes time, Gompertz says that if you look at any major artist’s early work it looks basic as hell (not his actual words), ‘improving’ is a journey so long as you’re productive and learning as you go. 6.) Artists don’t fail. This is such an important message for bloggers who feel that they need to achieve something, and that this achievement is measured by followers and views, and how many ‘exciting emails’ from brands you get. No artist sets out to be Picasso and sulks on Twitter about giving up when they haven’t sold a certain amount of work by a certain time, and neither should you be setting out to be Zoella. Blogging isn’t a race, it’s not trial where only the best make it, and you have to feel inferior because you didn’t get those 10K followers you kept begging for. Gompertz says that because artists are continually involved in a process of experimentation and creating, they see failure as subjective and they move on quickly. Of course, artists like all people are only human, they face rejection and criticism, Gompertz points out that many people only found their passion because they failed at something – Shakespeare wanted to be an actor but became a playwright – but never-ending curiosity helps artists push through the pain and get back in to the studio. If I’ve made it sound like Gompertz sees artists as breezing through life, always working furiously and laughing in the face of failure, that’s not it at all. He points out that artists are shrewd and sceptical and they steal things. Not in a lame “I like that blog post idea, I”m doing that too” kind of way which happens a lot in the community, but in a way that makes creative ideas expand and develop and have new voices added to them. You can do that too, but you need to definitely make your work your own. Copying involves no imagination, Gompertz says, and he also says it’s okay to be cynical and think about external factors that effect your work, so long as you don’t get bogged down by haters (again, not his actual words). 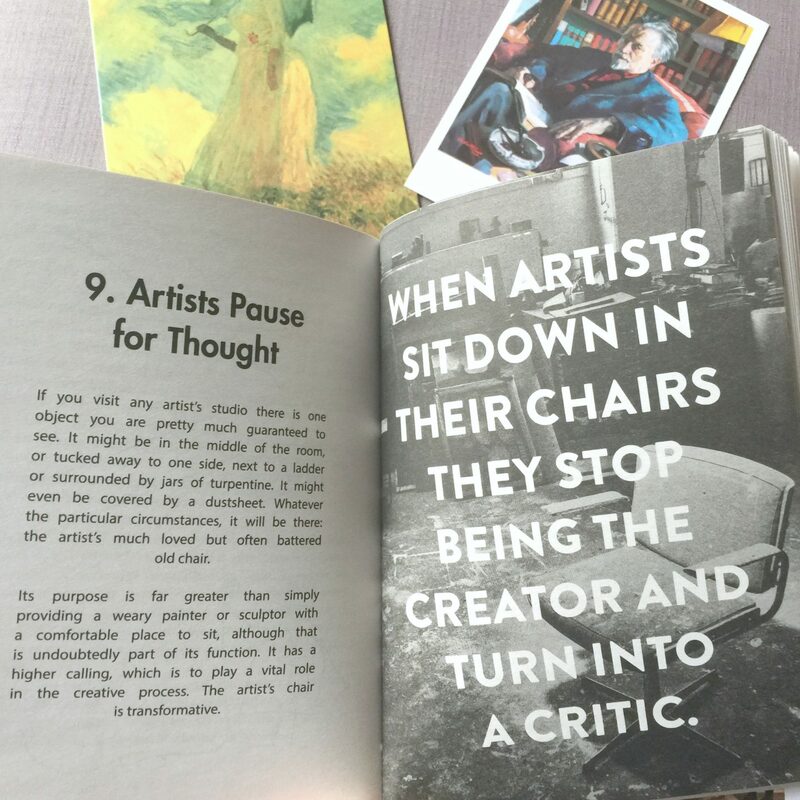 This is a good book for bloggers or anyone in a creative job, those artists have been around a long time and know a thing or two about hustle and flow. This sounds like a fascinating and inspiring read. Added to my wishlist. I’ve been guilty of being sucked into the whirlwind of trying to post more regularly in the Moz chase. Thankfully I got off that roundabout, well mostly. I think it’s a constant exercise – fighting the fraudy feelings and the need to conform. I reckon creativity is a muscle that requires regular exercise, the more we work on it, the stronger the muscle gets. You hit the nail on the head! 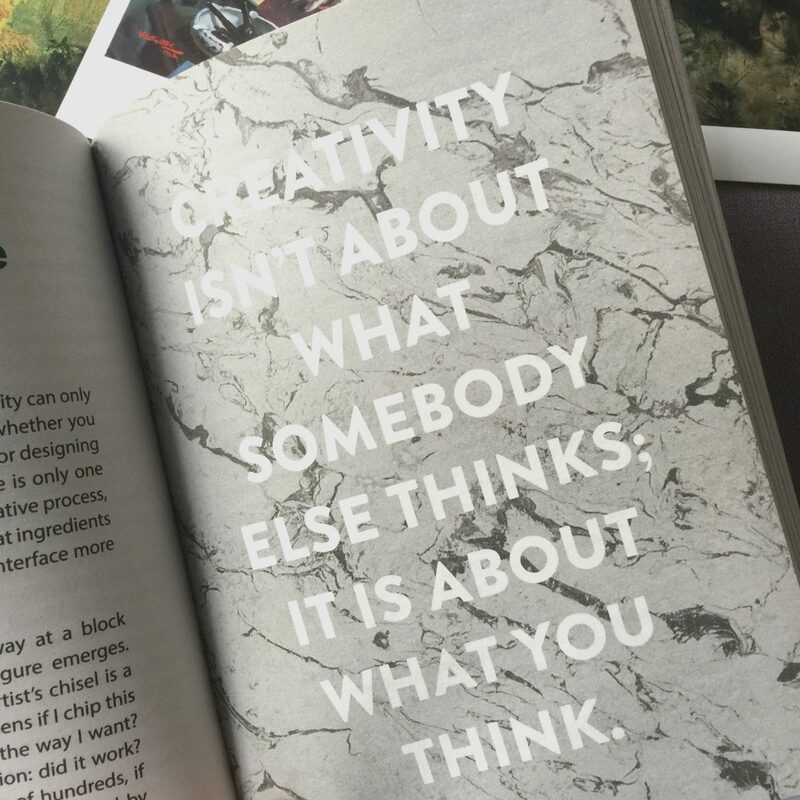 And I think this book is good for helping us realise creativity is all about your own process and not comparing yourself to others. I always feel more creative when I’m not checking blog stats, it’s liberating. Such a wonderful post, i’ve bookmarked it for future reference! I often get self-critical with “i should post more” thoughts, all of which ironically counter the theme of my favourite/ and best received posts… SELF-COMPASSION. What you said about filler posts is so true and blogmas really exposed that to me. I did consider taking part, but in the end i felt the content would be compromised? I mean one of the most common posts i saw on bloglovin’ was “blog post ideas for blogmas”… posted HALFWAY through blogmas?! Like you said, there are some wonderful regular posters, but that kind of post is a clear filler. It’s also about comments, which i think i read on another one of your (very old!) posts. The “love this post! Follow my blog?” comments are far more likely, if people don’t actually have content to respond to. I like to think that one meaningful comment, or someone saying my post helped them on twitter/private message, means more than a thousand IG ‘likes’ or daily reads could. Thank you for this lovely comment! Will find you on Twitter too. I am totally in awe of your talent as a writer and a blogger. You write about some geat topics.